I cannot believe how fast 2013 has went by and it’s almost 2014. Wow. In light of this, Lizzi aka Considerer is having Twelve Things of Thankful!!! So, I read her post which was a wonderful recap of her year and the start up of Ten Things of Thankful. I’m going back over this blog and let’s see where it’s been. JANUARY: I began this blog, showed my first link to My Constant Thoughts, my blog on Blogger where I keep my poetry, and shared a few (well, actually 7) post. FEBRUARY: Looking back, it would seem the month that country singer, Mindy McCready passed away. I shared her video of “Ten Thousand Angels” at the end of this post. Valentine’s Day, I share my love for Rob Thomas, and joined in on Monday Listicles. MARCH: This was the month of Saint Patrick’s Day and Easter. Gorgeous photos of my girls in their Easter dresses. I see I joined in According To Mags also. This was on of my favorite ones. Why? Well, we done a post on our celebrity look-a-like, and well to have people say I look better than Tori Spelling, it was an awesome feeling!!! APRIL: April seemed to be a great month. I had began participating in Mama Kat’s Writing Prompt, Picture It and Write It, and Follow Friday Four Fill-In Fun. The FFFFF is where I met Hillary who published a memoir this past year, Dangled Carat. I done a wonderful interview with her because memoirs are some of my favorite reading. MAY: This was a good month. I had joined in on Blogger’s For Peace. The Monday Listicles were fun, such as name 10 horrible band names, my Wordless Wednesday’s were coming along, and my oldest daughter graduated 5th grade on May 31st. So, by fall of 2013, she’d be in the world of Middle School. JUNE: Happy Birthday to Marilyn Monroe on the 1st. The girls went to Jacksonville, N.C. to be in their father’s wedding. I see I had participated in several Monday Listicles, Mama Kat’s Writing Prompts, and added The Sunday Whirl’s Wordle to the mix. From Left to Right: My daughter Olivia, their step sister, Natalie, and my daughter, Madison. The next photo should be of their half brother, Nathan. Their step sister, Emily isn’t pictured in these. JULY: Ah, July. Well, July 4th was celebrated. My oldest daughter turned 11 on the 9th. My best friend turned 37 on the 14th……….and oh, how I love rubbing it in her face that I don’t turn 37 until November 22nd. My boyfriend turned 42 on July 15th. And I see I had added Considerings to my “touching bloggers” list!!! My 11 year old, Madison, chose this Cookie Monster cake. A dear friend I graduated with makes these cakes. I’ll let the picture speak for her talent. AUGUST: I was participating in 14 Days of Gratitude held by one of my favorite people, Celes. I had forgotten to add for July, I had also began participating in Yeah Write’s 31 Days to Better Blogging, and I had done an interview with Piper Punches on her new book, The Waiting Room. SEPTEMBER: I had done an interview with Lance Burson from My Blog Can Beat Up Your Blog somewhere in between these months. He had published his first book, The Ballad of Helene Troy, which I recommend to anyone. He also published his second book, Soul To Body. This is the month I done an interview with Hillary Grossman from Feeling Beachie about her memoir, Dangled Carat. I had also started to participate in Five Sentence Fiction and Six Sentence Fiction. My daughters had began a new school year and my youngest daughter was taking up donations for JDRF Walk to Cure Diabetes. I had also added Wednesday’s Hodgepodge into this blog. OCTOBER: I see this was a month on blogging for a lot of blog hops, which I still enjoy doing. It was also Halloween. Pretty fall colors and photos. Madi was a tiger and Liv was a leopard. 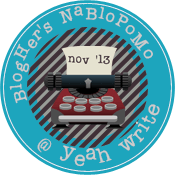 NOVEMBER: This was the month I attempted to participate in Yeah Write’s NaBloMoPo 2013. Wish I’d done better at being consistent. Then it was my turn to have my 37th birthday. Then, of course, Thanksgiving came. I am still participating in a lot of different blog hops, and I’m thankful that this blog has shaped up nicely. DECEMBER: I see I participated in a couple of Six Sentence Story and Five Sentence Fiction, which is stepping outside my comfort zone, still participating in Mama Kat’s Writing Prompts, Christmas has come and gone in an amazing hurry and here it is almost 2014. TTOFT: I wrapped up my blogging year pretty well, but did I leave out my 12 things of thankful? Perhaps. Perhaps not. 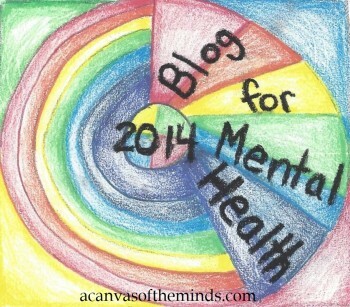 I am thankful to see that the past year, my Once Upon A Time has shaped into a blog I’m proud of. I’m thankful for all the wonderful people I’ve met throughout the blog hops. I’m thankful for my daughters and their milestones in life. Thankful for good friends. I am extremely thankful for Ten Things of Thankful! And all in all, 2013 wasn’t so bad, or at least typed up in a pretty little package. I’m thankful for small moments, as well as the big moments. I’m thankful that Christmas did come together. I’m excited to see what the New Year brings. Thank you to everyone who takes the time to read this blog!!! Thank you Lizzi! This weeks statements from Follow Friday Four Fill-In Fun are here. Link up, have fun, fill in the blanks, and go check out Feeling Beachie’s author Hilary to learn more about her published memoir, Dangled Carat!! 3) I feel ______ when I wear ______. 4) Technology is a _______. 1. I have had the hardest time this week with writer’s block. 2. I can’t believe that October is almost here! 3. I feel awkward when I wear tennis shoes. 4. Technology is a wonderful thing as long as it doesn’t consume all of your time. Be sure to check out Feeling Beachie and learn more about Hilary’s published memoir, Dangled Carat. You can enter her awesome giveaway to win a signed copy, $25 Victoria Secret gift card, and a Sandi Rose CD!! How cool is that…. Come back Monday to read the interview I had the pleasure of doing with Hilary. Oh yeah, this is a blog hop! Enjoy.